 Stone Pin Company is a locally owned and operated boutique bowling alley with 6 bowling lanes, a bar and dining areas serving tasty foods, ice cold beer and premium cocktails. Stone Pin Company was born in a long forgotten warehouse space that lay dormant for decades. 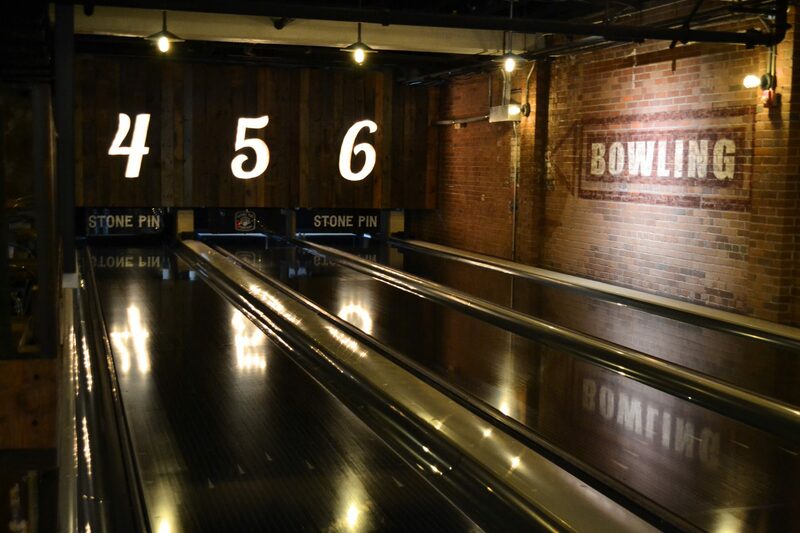 Once the dust was blown off and the lanes installed, Stone Pin sprang to life while preserving the heritage of this great structure. 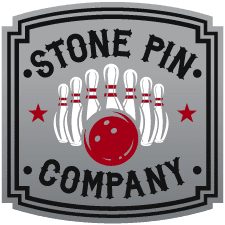 In the heart of Greenville’s booming Stone Avenue corridor, Stone Pin Company offers Lunch-n-Bowl, weekday specials, Cosmic Bowling, events and so much more. Worried about parking? Don’t be. Follow our signs to plenty of free parking. 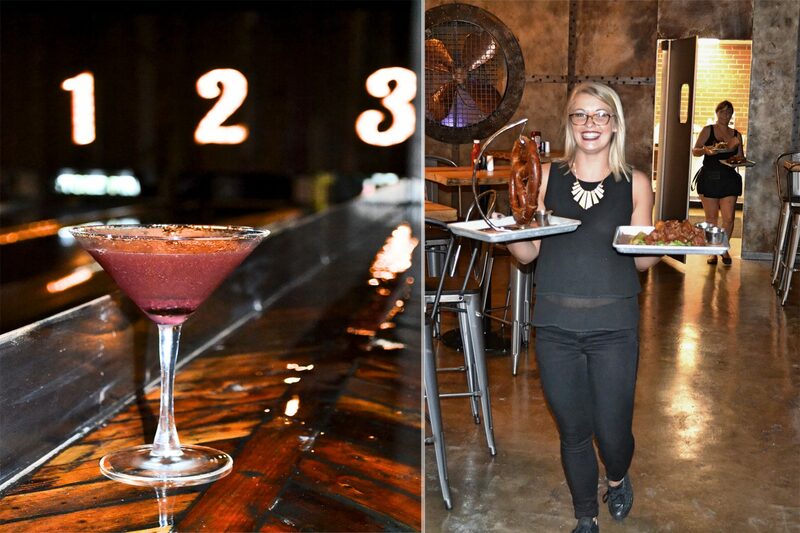 Stone Pin Company is the perfect place to host a birthday party, corporate event, bachelor/bachelorette or a fun unique night out with friends. 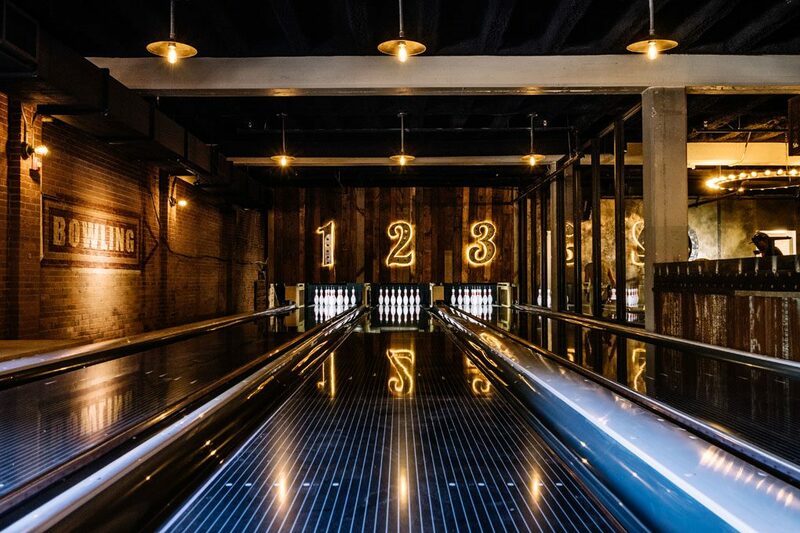 You can reserve our lanes in 3 or 6 lane packages, or rent the whole space for a truly memorable event. 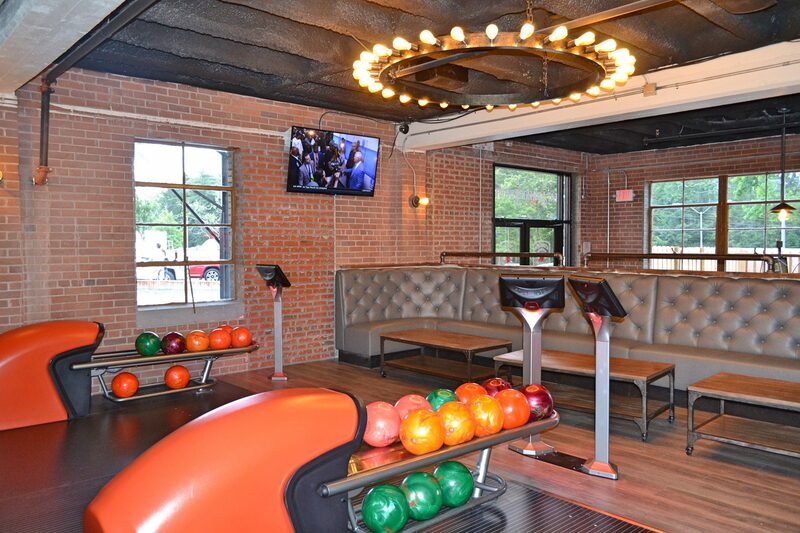 We also provide food and beverage packages, and of course bowling balls and shoes! We require a three lane minimum for all reservations. Please contact us at info@stonepin.com for more information.